Suzy Welch is a noted business journalist, TV commentator, and public speaker. A popular Today Show and CNBC contributor, Suzy is the author of the New York Times bestseller 10-10-10: A Life Transforming Idea, a guide to values-driven decision making. With her husband, Jack Welch, Suzy founded the Jack Welch Management Institute, ranked as one of the top online MBA programs in the world by Princeton Review and CEO Magazine. Along with Jack, she is the also the author of the international best-sellers, The Real Life MBA and Winning. Suzy and Jack Welch have also written business columns for several publications, including Business Week, the New York Times Syndicate, and Fortune magazine. All proceeds from the Welches’ books are donated to charity. For the past three decades, Suzy has written extensively about leadership, career management, and other organizational issues, for publications ranging from O, The Oprah Magazine to The Wall Street Journal. 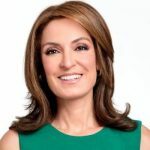 In addition, her candid and perceptive commentary can also be heard regularly on Power Lunch, and CNBC.com programs, “Get to Work, with Suzy Welch” and “Suzy Welch: Fix My Career”. Born in Portland, Oregon, Suzy received her undergraduate degree from Harvard University in 1981 before joining The Miami Herald as a reporter. She left daily journalism to attend Harvard Business School, where she graduated as a Baker Scholar in 1988. After working as a management consultant at Bain & Co. for several years, Suzy joined the Harvard Business Review in 1995 and was named editor-in-chief in 2001. Suzy is the mother of four children, and as a tireless advocate for universal compassion, she currently serves on the board of several animal rights organizations. Prepping for an interview can be nerve-racking. Here is how to answer most commonly asked questions in a way that makes you memorable in a positive way. Public speaking can be frustrating and for some, downright terrifying. Try this fool-proof tip the next time you need to deliver a great speech. Do you feel stagnant in your career? These three questions will help you decide if you should make a career change. How to make the timing work. Coming back from a personal crisis is hard. It takes twice as much effort as a regular job search. Here is some advice to get back on your feet. Don't panic when asked about your salary requirements, instead tell them what you think they want to hear, deliver a carefully crafted answer. Choose a role model whose reputation will indicate that you're serious about becoming one of your industry's high achievers. Using these well-worn business buzzwords won't help you get your message across. Instead, banish the jargon and watch how 'empowered' you become. Thinking about quitting your job but can't quite commit? How to make the decision and make the leap. Your next challenge is out there. IAC CEO Joey Levin offers up a rare gem of career advice. It will totally change the way you approach your next job search. It takes more than hard work and great results to really impress your boss. Here are 3 tips to help stand out among your colleagues. Falling out of your boss's good graces can be more disastrous than you think. How you can maintain your boss's political capital. When it comes to achieving lasting success, there are very few shortcuts. The #1 piece of advice Jack and Suzy Welch give to their kids.